Introduced earlier this year, GDPR changed the rules surrounding data protection, and this has affected how manufacturers communicate with their installers. Six months on, David Cook, Sales Director at Baxi, explains why you need to stay opted-in. 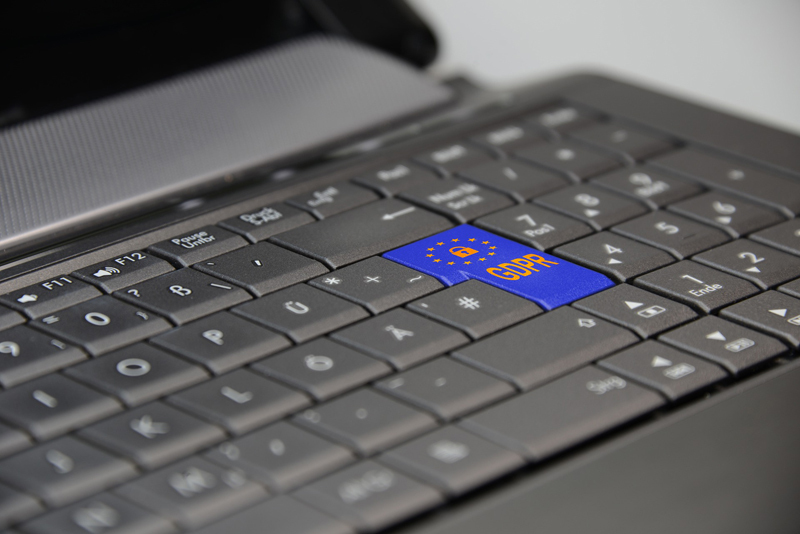 In May of this year, a new data protection law (GDPR) came into effect. This new law is designed to bolster the protection surrounding the personal data of consumers and affects the way that businesses communicate with their customers. Given that the law requires ‘affirmative consent’, which goes beyond what most organisations were doing prior to GDPR, many manufacturers will require their installers to opt back in to communications. For some busy installers, it may be that they have been removed from a contact list due to GDPR regulations but aren’t yet aware of it. Whilst most manufacturers will have sent out multiple emails to encourage their installers to sign back up using affirmative consent, it could be that those who don’t regularly check email may have missed these signposts. However, there are many reasons why it’s important to opt-in to communications from your manufacturers – below are four of the biggest factors. We all love a freebie, and for many installers, those little extras offered by manufacturers can make a big difference. Most manufacturers have loyalty schemes, and several of these run seasonal promotions or special offers which are often communicated via email or text. For those not opted-in, this could mean losing out on valuable opportunities to capitalise on the rewards offered by their manufacturers which pre-GDPR they may have taken part in. It’s important to remember that the GDPR regulations mean that manufacturers can only use your details for legitimate purposes. Whilst this should have been the case pre-GDPR too, it does mean additional peace of mind that opting-in doesn’t mean receiving spam – you should only be contacted with information which is relevant to you. At Baxi, we believe that respecting the data of our installers is a top priority. We’ve even listed our commitment to responsible data management here. The trade is constantly changing. New regulations, technological advances and the drive for ever greater efficiency mean that manufacturers often update their product ranges. Whether it’s a new accessory or a brand new suite of products, it’s vital for installers to stay abreast of the latest innovations available from their manufacturer. This allows you to offer the most up to date options to customers, and even take advantage of changes which make installation quicker and easier. These new products are frequently announced via email and SMS campaigns, meaning that those who are opted-in to communications can stay ahead of the curve on what’s new from their manufacturers. Between taking calls from customers, driving between jobs and being on the tools, it can be a challenge to stay up to date with the latest legislative updates. Whilst regulation changes can have a significant impact on everyday operations, sitting down and reading a Government report isn’t always top of the priority list. That’s why certain manufacturers create need-to-know guides which get to the heart of the matter in a format which takes just minutes to read. These updates are often delivered via email or text and can act as a newsflash for installers on the go. Whilst information on any new legislation will of course be available online generally, there’s real value in being subscribed to a manufacturer who can provide that content in straightforward terms, directly to your inbox. Training and upskilling is a huge part of maintaining a business, but it isn’t always a front of mind concern. According to a Baxi survey, 39% of installers struggle to attend training courses as they don’t have the time. This means that amidst busy everyday activities, and without the occasional reminder of the opportunities on offer, training can fade into the background. That said, the same survey found that 51% believe that training helps them to work more smartly and efficiently – highlighting the importance and value of training. By opting-in or staying signed up to communications from your manufacturer, you are likely to receive regular news about training, including new courses or promotional discounts. This ensures training stays on the radar and provides first-look access to the latest courses and offers. It’s vital for installers to double check that they are still signed up to communications from their manufacturers, as many use their contact database to share vital information about new products, expert training, industry news and offers, which installers could be missing out on if not opted-in.